Through a mixture of food, education and behavioural technology, Layla Yarjani and Conor O’Meara are delivering positive change to London - and they are bringing their secrets to One Young World’s 2018 Summit in The Hague. The pair are the inaugural winners of the Leading London Award, a scholarship scheme launched in recognition that One Young World’s 2019 Summit will be hosted in London. Both young leaders are being sponsored to come to The Hague where they will discuss their work. The programme is one of a series of scholarship schemes that will identify outstanding young leaders from around the world and bring them to The Hague as Delegates. 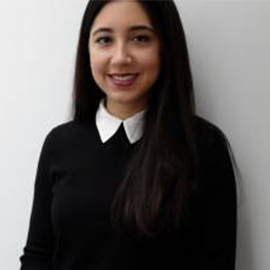 Layla is leading the NEXTGen volunteer think tank, which has mobilised thousands in London and raised over £2 million in four years to support Unicef’s work in Syria and the surrounding region. She co-founded ‘Imad’s Syrian Kitchen’ a restaurant concept created with refugee Imad Alarnab, a talented chef who had run successful restaurants in Damascus which were bombed in the war. She is also COO of Little Bridge, a children’s learning platform that immerses children in a virtual town where they learn English and communicate with other children around the globe through a shared language. Conor is the VP of Design at Potentialife, a social enterprise that uses data analytics, behavioural science and positive psychology to improve human productivity and happiness. 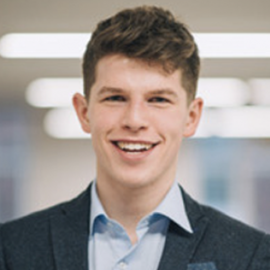 Conor led a nine-month behavioural-change program at University College London Hospital, to improve the productivity and happiness of employees. The initiative led to a 48% increase in personal performance, a 38% increase in organisational trust levels, 65% increase in sense of “daily purpose”, and a 35% increase in positive patient experiences. Media companies from Africa and Asia are showing the way in helping talented young leaders to attend the 2018 Summit. 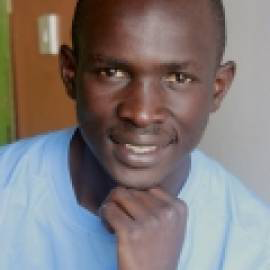 Kana TV, Ethiopia’s leading broadcaster, has created the Kana Scholarship to support the attendance at the Summit of a young Ethiopian who has made “extraordinary contributions” to their country in the fields of agriculture, environment, health, poverty alleviation, human rights or education. 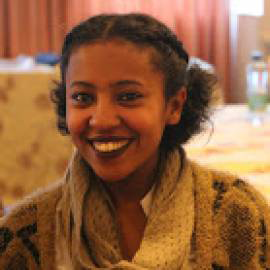 Kana have selected Feben Tamrat Mengesha who is a Project Officer at the German Development Cooperation (GIZ) Support to the African Union on Migration and Displacement. She is one of the 36 youth fellows in the African Union-European Union Youth Plugin initiative, a Youth Advisory Panelist for the United Kingdom Government in Ethiopia and also the founder of initiatives which work on promoting Agenda 2063 of the African Union, quality education for street children and women empowerment/motivational speeches for girls in rural areas. The leading Afghan media organisation MOBY Group is launching the inaugural Afghanistan Young Leader’s Award in recognition of an outstanding Afghan young leader who demonstrates their capabilities in human rights, environment, health, poverty alleviation or education. The recipient will attend the Summit and be profiled on the Afghan media outlets TOLOnews.com and TOLOnews TV. 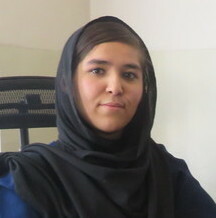 A teacher and Sponsorship Program Coordinator, Bibi is working to change the educational outcomes of young girls in Afghanistan. She has been working with Razia’s Ray of Hope for 7 years, providing these girls in rural villages with access to proper schooling with quality teachers, electricity, computers and other key resources. Focusing on both students and their parents, she supports their placement into higher education programmes with institutions and universities. Caroline Mutoko, CMO of Radio Africa Group, is a leading Kenyan media personality with a career that spans more than 15 years, and her award is given to a Kenyan resident who has shown evidenced commitment to creating positive change in Kenya, through activities including high level involvement in community initiatives to social entrepreneurship, leading responsible business practices or public service. Provided by One Young World's Local Organising Committee for Pakistan, the Leading Pakistan Award is made to those who can show commitment to creating positive change in Pakistan. This commitment can “come in many forms”, it says, “ranging from a high level of involvement in community initiatives to social entrepreneurship or from leading responsible business practices to public service”. Rehan is the founder and director of Sukoon Water. His organisation establishes water treatment facilities in or near low income urban areas of Pakistan and builds local distribution systems to increase access to and usage of safe drinking water in those communities. Sukoon Water’s pilot treatment plant served nearly 1.5 million liters of WHO compliant water last year. 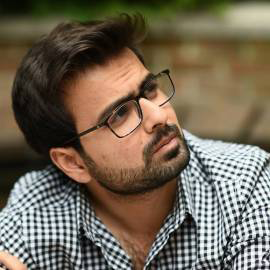 Rehan is also a strategy advisor to the Childlife Foundation, which is the largest provider of pediatric emergency care in Pakistan, serving nearly 1 million children annually. One Young World’s Local Organising Committees (LOCs) are also playing a key role in helping young leaders to reach The Hague. Through its Leading South Africa scholarship scheme, the South Africa LOC is sponsoring two young South Africans who have shown commitment to creating positive change in a rural or disadvantaged community in South Africa. 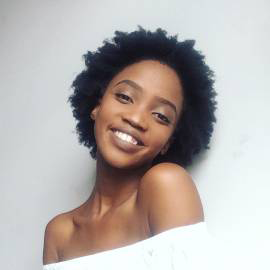 A student at University of Witwatersrand, she is passionate about upskilling young women and girls to redefine their traditional roles in society. 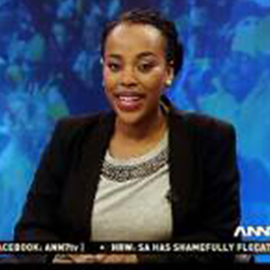 In 2015, Dimpho joined the ANN7 news channel as their youngest news anchor and current affairs reporter - she was simultaneously completing her studies at University of Pretoria. Two weeks after her on-air debut, she was promoted to become the host of Africa Tonight, an all-African show for ordinary Africans, academics, activists and decision makers to debate and discuss issues that are pertinent to the continent. 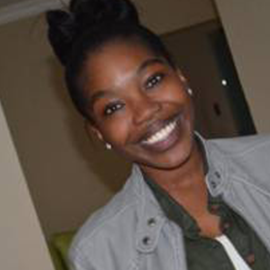 She is currently pursuing her Business Science degree at University of Cape Town. She launched a tutoring programme in Soweto for students in grade 11 and 12, strengthening their proficiency in math, geography, accounting and science.